Creating brands is something we love to do, here at Glow. We then apply a brand consistently across all materials. This can include anything from business cards to websites, workwear to vehicle branding. 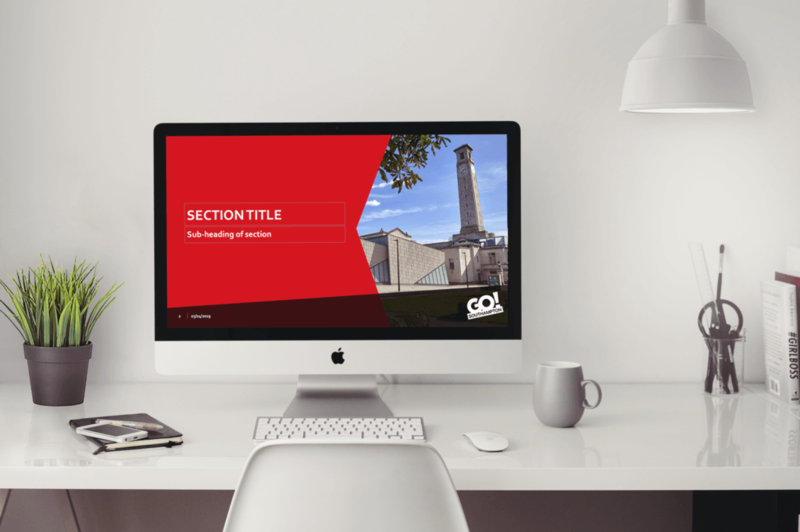 Branded stationery is as popular as ever, and despite the multitude of presentation software available, a branded Microsoft PowerPoint template is still a must-have for many businesses we work with. Don’t panic! We’re not talking about those hideous PowerPoints you may remember from the late 90s, we create beautifully designed presentations that are personalised to each brand and that are functional and easy to use. 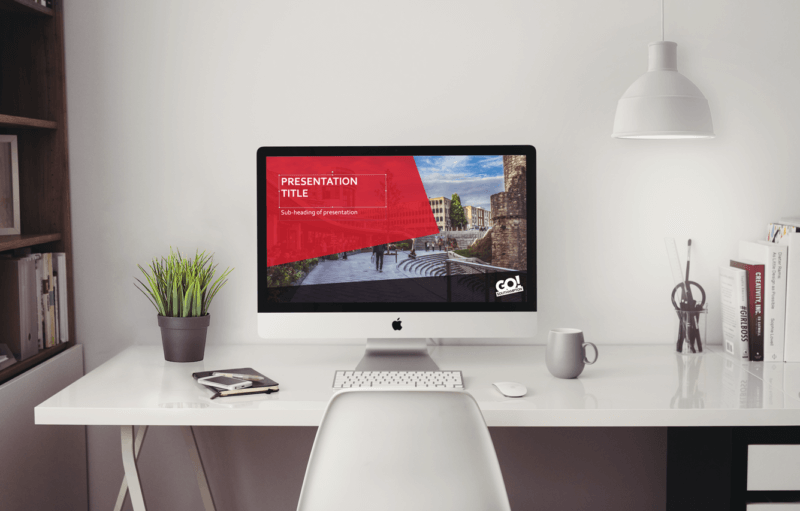 We’ve recently produced a PowerPoint template for Go! Southampton. 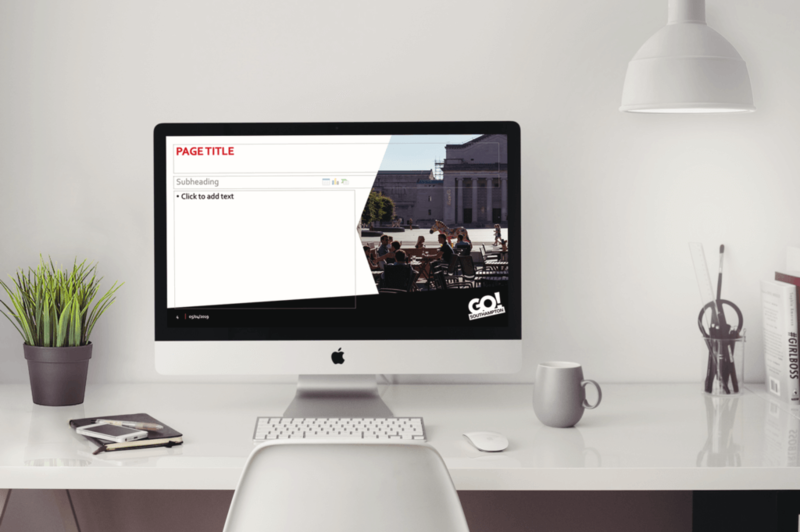 The new template includes a variety of page layouts, all incorporating the Go! Southampton logo along with design elements and styling from their brand. The templates allow Go! Southampton to include powerful Southampton imagery along with its key messages, while keeping each slide sleek and concise, and its audience engaged. GO! Southampton is the Business Improvement District (BID) for Southampton City Centre. The latest Go! Southampton event is a spring-themed walking trail to encourage families in Southampton to get outdoors and explore the city’s key locations and green spaces this Easter holiday from 8-20 April. The free trail will take families to popular hotspots in and around central Southampton as well as to Palmerston Park, where they will be able to put their sleuthing skills to the test and search for hidden clues to crack the Easter holiday trail, there’s even a special prize at the end, you can find out more here.